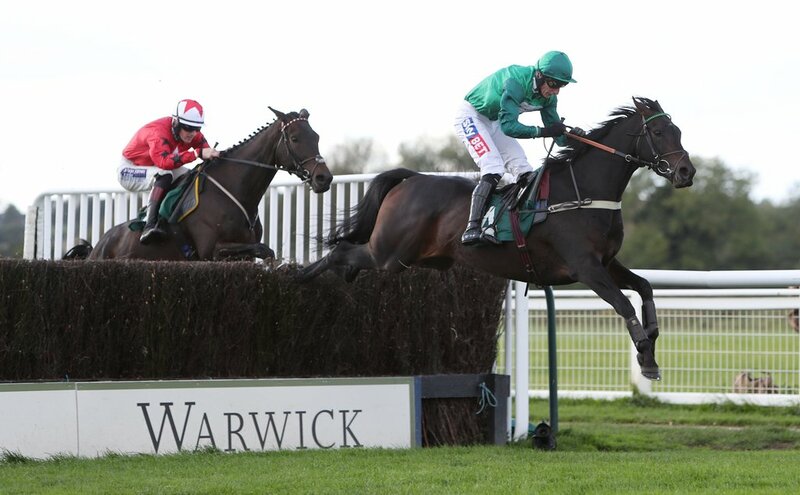 The opening race from Warwick is the Trial Racing TV For Free Now Novices' Handicap Hurdle, and Texan Nomad can make it two from two in 2019. A 20/1 winner just last week at Wincanton in this class and distance, and a 7lb rise seems fair. Rex Dingle jumps aboard for Ronald Harris and immediately takes 5lb off, so effectively off 2lb higher, he should be in the hunt for another win. Movie Legend was a few lengths behind Hell's Kitchen at Ascot before Christmas, but improvement is expected from Lucy Wadham, as he tackles the second race - the racingtv.com Edward Courage Cup Handicap Chase. Harry Fry's 7yo was on his best behaviour at the Berkshire venue and pulled clear, but Movie Legend was in a race of his own back in third, and held on well to his placed finish towards the line. Drops in grade and should be involved as a result. Rocky's Treasure has been a revelation since switching to fences, and has only been beaten once - to arguably the best in the division (Santini), in five starts. Four wins from five however this campaign, with victories at Kelso, Fakenham, Wetherby and Doncaster latest, in a Grade Two, and now drops in Grade for the Listed Hampton Novices' Chase. Next up, is the Pertemps Network Handicap Hurdle, and First Assignment can get back to winning ways for Ian Williams after starting the season with much promise. The final race is the Racing TV Free For A Month 'Newcomers' Standard Open NH Flat Race, and all six going to post are unraced maidens. Therefore, we have selected Charlie Longsdon's 5yo mare, who is a half-sister to a useful 2m5f hurdle winner Mon Lino. She is also a half-sister to a French Grade 2 hurdle winner in Multipass, and to a 2m flat winner Dalamine - who is the dam of high-class chaser Don Poli. Plenty of talent in the family and worth a go here.